For information about configuring a load balancer for your app workload, see Deploying and Exposing Basic Workloads. See the AWS Prerequisites section of Deploying and Exposing Basic Workloads before you create a workload load balancer. A Kubernetes ingress controller sits behind a load balancer, routing HTTP and HTTPS requests from outside the cluster to services within the cluster. Kubernetes ingress resources can be configured to load balance traffic, provide externally reachable URLs to services, and manage other aspects of network traffic. If you add an ingress controller to your PKS deployment, traffic routing is controlled by the ingress resource rules you define. 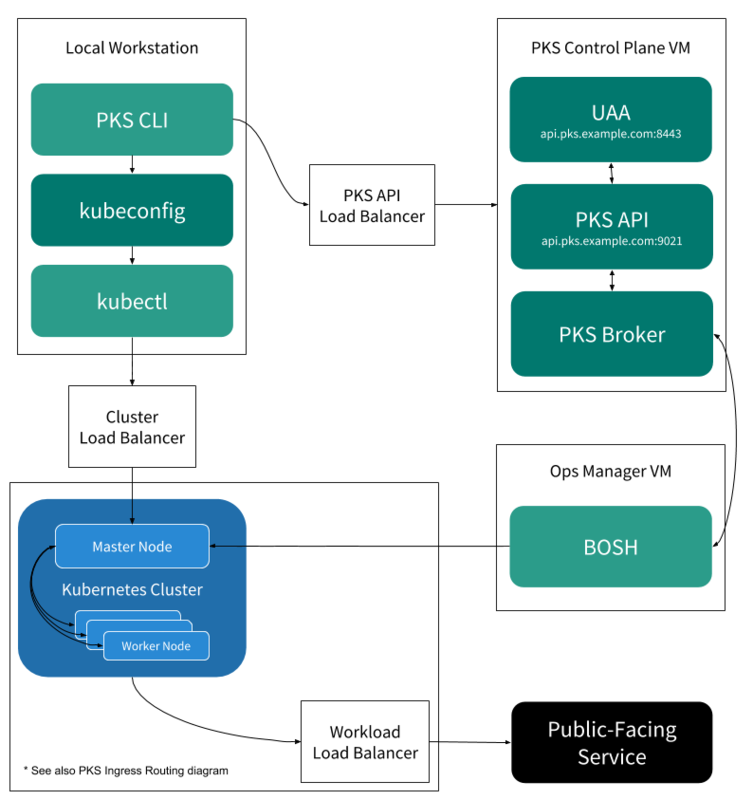 Pivotal recommends configuring PKS deployments with both a workload load balancer and an ingress controller. The following diagram shows how the ingress routing can be used within your PKS deployment. 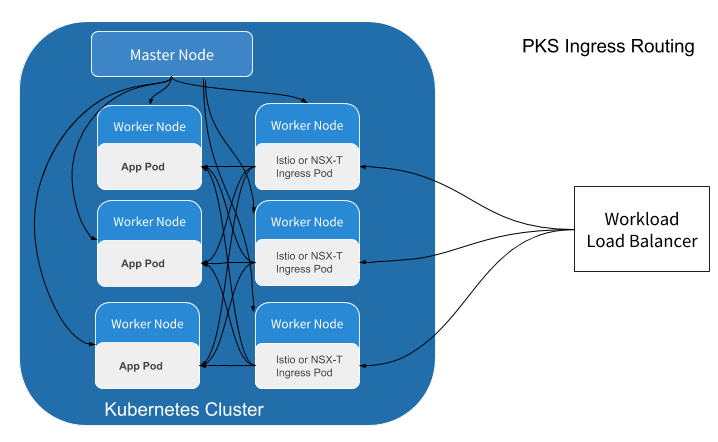 The load balancer on PKS on vSphere with NSX-T is automatically provisioned with Kubernetes ingress resources without the need to deploy and configure an additional ingress controller. For information about deploying a load balancer configured with ingress routing on GCP, AWS, Azure, and vSphere without NSX-T, see Configuring Ingress Routing. For information about ingress routing on vSphere with NSX-T, see Configuring Ingress Resources and Load Balancer Services.